They have a kitty condo. and THIS is what they chose to play with. Sage- in particular- has been spotted in this spot at least 6 times since Sunday. She's nuts, but oh so cute. 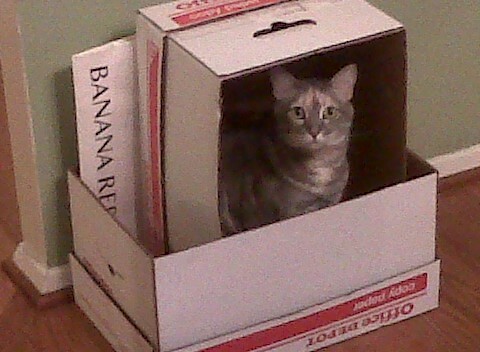 haha... what is it about regular boxes that are so entertaining to pets and kids?! Give a cat a paper bag and they'll have fun for hours!